Your blog is so full of eye candy and temptation that it's hard to say what I like best. Your work is beautiful and I enjoy following along. And who wouldn't want to win those luscious fall fat quarters. Thanks for sharing your talents with us. I love your Block of the Month patterns. I love to read your posts. They are so informative and I really love your BOM! Congratulations to your 75'000 visits. I am sure that there will be many, many more to come! I discovered your site when tulip tiles first went up and had to share it with everyone on the HGTV message board. I love your BOM and will enjoy downloading your EQ files. I've just gotten it and need to get started with learning. Thank you for the lovely fabrics in the give-away. Congratulations too on being in Keepsake. I haven't gotten my copy yet but will certainly look at it when it comes. I love your site, it is so informative and I have done 2 of your free BOM's. I have your link on my blog so that I can keep up to-date on what is happening on your blog. Keep up the good work. Congratulations on 75,000 visits. congratulations on 75,000 visitors that's awesome that so many are following you. I have been reading your blog for a long time now and really enjoy it. I love the Tulip Tiles BOM but there is so much more to your blog, it's hard to pick a favorite. I found your blog through a yahoo group just before you started Tulip Tiles. I love it! And I'd love a chance to win those beautiful FQ's. Hello! I have been following your blog for quite some time...I really appreciate all that you share...you are sooooooo talented! Love the Tulip Tiles BOM...thanks! I think I follow your blog because of the BOM and the beautiful work you do. But mostly because of the way you share your talent. That is truly wonderful. Love this site. It is so inspiring. I've been reading it from page to page most the day today. And the more beautiful quilts I saw, the happier my mood turned. I think I'll have to come every morning to give me that mental boost. : ) Thank you for inspiring myself and many others with your wonderful site. Hi. I like the mix of tradition and creativity in your designs. I would love to hear more about what inspires you when you design. Also, thanx for a giveaway chance. I love the eye candy you share. I also look forward to each new tulip tile block that comes out :0) Congrats on all of your posts - keep em' coming! Thank you for sharing with all of us. What I like about your blog??? Difficult to say, I like a lot. But I think I like the most, the beautiful examples of what can be done/make. I get a lot of inspiration from it, but unfortunately have not all the time to make all the things I want to. Keep on the good work, and thanks. I discovered your blog when you introduced Tulip Tiles. 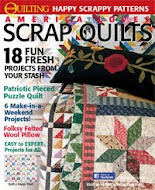 I love BOM's in addition to all things quilty, and Tulips tiles was attractive to me. Love it. Your blog is so much more. I love your use of color and overall creativity, in addition to the way you share it with your readers. This giveaway is so generous, love the autumn colors and already know what project I would use them in if I'm lucky enough to win. Thanks for your generosity in this giveaway and the time you invest in your blog. Your bright colors and beautiful quilts lift my spirits whenever I see them. I follow you with a reader so that I don't miss any new postings and get to read new postings as soon as they are posted. Keep up with your inspirations. I will be doing the Tulip Tiles in blues and yellows. I believe I will be trying a hand applique method I just discovered and they will bring sunshine into my winter evenings. Congratulations on 75,000 visits. That is an amazing number. What a wonderful reason to have a give away! 75,000 visitors including me! I love the colours you use in your projects and how gracious you are about sharing them with us. Keep up this great blog...it's my favorite! Hi! 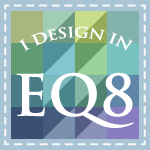 I am new to your blog, but will love seeing your EQ designs. Just saw the BOM and it is so pretty. Thank YOU for your gorgeous BOM! I heard about the BOM from another blog, but stayed for the blog itself. I really like the way you share your talent! Congrats on your 75,000th visit. Many more to come. There is a lot of beauty on your blog and love the sharing too. I will enjoy your new EQ page. I love your block of the month from the last year the best. Congrats on 75,000 hits. I enjoy everthing about this blog. I found it last year in time for Midnight Posies. I look forward to the EQ downloads, but as a newbie in EQ could you give directions about how to download it? I just haven't gotten that far with EQ7. I do love your designs, especially the tulip tiles pattern! Great give away, tank you for organizing! And please do go on with your great blog I always love to read! It's Kristie from CA. I finished my Flower garden. I did two of each block and I have it sashed together I will send you a picture soon. It turned out so pretty. Next step is the applique which is new to me. But I will. Found you Sweet Pea Table runner, I am ordering that as my next project. I love your blog, seeing all your work and colors. I love the bright colors. I just found you through the Anilee Treasure Hunt site. I love that you share your ideas and give such detailed info on your designs. Only a teacher would know these important tips! Thanks for all the great comments and suggestions! I am so happy that you are enjoying the BOM and the posts. And thanks also for the great suggestions! I really appreciate those! I will be putting in some more instruction about how to download the EQ files for those who are just starting out with EQ, and will try to include both easy and challenging projects. I have lots of them to share. . . just need some time to get them uploaded for you! LOL Lots more to come!! Love the Tulip Tiles! 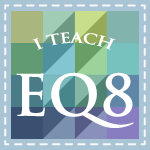 I can't do EQ since I have a Mac but I appreciate your use and sharing! Thank you! 75,000 is just the beginning - once word gets out the whole world will be knocking on your door! I appreciate the eye candy - I can only hope to someday get some of your designs made - they are so beautiful and inspirational. I appreciate your sharing your BOM. Wish I had EQ, but that's OK - I can still look!!! Love your blog. Just wish you could post more often. Great eye candy. Great fq bundle. Would love to receive it. Reeze, I love your detailed instructions & hints for the projects you are working on.